Class Tech Integrate : Kahoot: From taking quizzes to transforming your classroom. 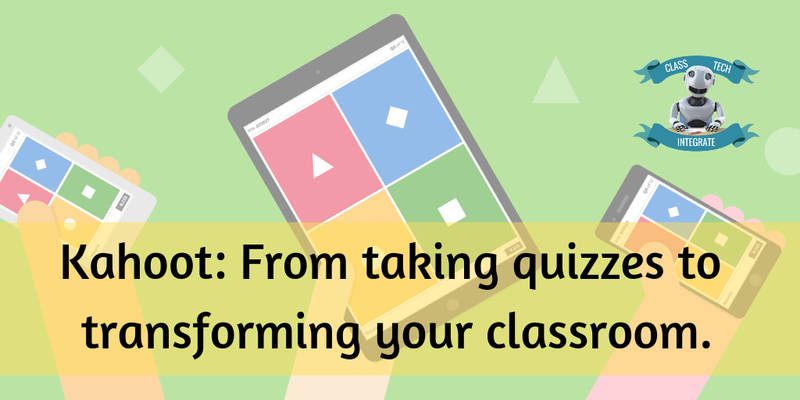 Kahoot: From taking quizzes to transforming your classroom. "Are your students making Kahoots, or only taking them?" A simple question that implies an easy tweak of how students are engaged with the tool, but why does it matter? A blended learning classroom allows for two major roles for students: consumers and contributors. 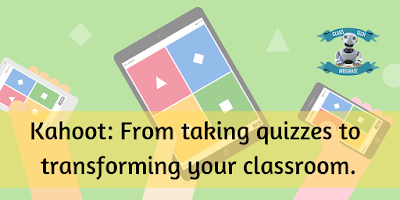 The traditional use of Kahoot, where a teacher delivers the quiz to students, is an edtech spin on your standard multiple choice quiz. It's more engaging and gives the students immediate feedback. For those of you familiar with the SAMR model, it ranks at the augmentation level. The task could still be done without tech but adds functional improvements. So what about allowing students to contribute with Kahoot? Think about this small twist in using the tool, and how it can change the level of tech usage and thinking levels for your students. For the most part, multiple choice questions are usually pretty low on the Blooms and DOK scales. We are basically just asking students to recall information. Students analyze & evaluate the given content and decide which information is relevant enough to include in the quiz. Students learn how to create distractions, helping them identify when they are given quizzes with such distractors. Students can add visualizations to represent the information/questioning. Students can have the teacher publish the Kahoot globally - extending outside of their classroom walls. Quite a difference in levels of thinking! 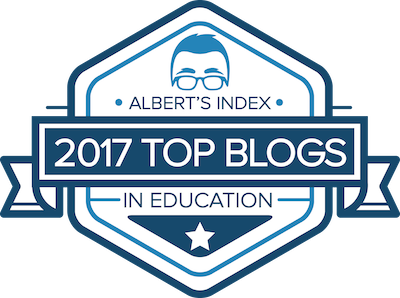 From an edtech/SAMR standpoint, we also see an improvement. When the student becomes a contributor/creator of a Kahoot, we see a shift from the enhancement level to the transformation level. We see task redesign. If the teacher/students publish those quizzes globally through the Kahoot platform, we are at a redefinition level of SAMR. All of a sudden your student went from taking a quiz in your classroom, to creating a quiz that students all over the globe can take. Think of the level of ownership they will take when their audience could be global.